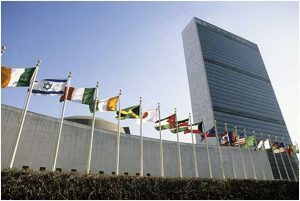 UNITED NATIONS, Mar 20 2019 – A $64 million plan to move 750 back office jobs from the UN’s main duty stations to four new centralized service centres in Budapest, Montreal, Nairobi and Shenzhen, could end up being a waste of money. Called the global service delivery model, this holdover from (former UN Secretary-General) Ban Ki-moon hopes to save the organization $23 million a year. Locations were chosen following an Amazon-style bidding war. While the assessment scores remain a closely-guarded secret, low wages played a key part. The proposal (http://www.undocs.org/a/73/706), currently before the General Assembly, makes a number of promises. First, that service quality will improve, although with administrative staff working far from their clients and no measurement of current service levels, this is hard to substantiate. Indeed to-date there has been no study on how different duty stations carry out the same administrative processes and what they could learn from each other. It is also not clear why a relatively new service centre in Entebbe should shift operations to neighbouring Nairobi. Second, that delivery of administrative services will “follow the sun,” allowing offices and missions to get same-day service in whichever continent they are based. Yet the centre for French-speaking operations in Africa and Europe is slated for Montreal, five to eight time zones away. The project’s main selling point is financial. Through resulting cost savings, the UN’s 193 member states have been promised that they’ll make back their initial investment by 2022. But putting figures into the kind of business model used for making investment decisions, and with modest adjustments for capital costs, technology improvements and cost overruns that include fast-rising salaries in some chosen locations (see endnote), it appears unlikely that the project will break even before 2029 – so in ten years instead of three. By then, with new technologies and ways of working, and the UN preparing for a future beyond its Sustainable Development Goals (SDGs), an entirely different administrative system might be required, rendering the investment obsolete. On top of that, Secretary-General Antonio Guterres, in contrast to his predecessor, is pushing decentralization, handing department heads unprecedented powers to hire staff and manage procurement. They may choose to increase the size of their own on-location administrative offices at the expense of the services they buy from the four centres, undermining an already fragile business case. From a business point of view, the global service delivery model, not forgetting the associated disruption, would appear to be a poor investment; such a finding is of course not unusual and in line with experiences elsewhere. But with the UN facing cash shortages, there may be more productive ways to spend $64 million and cheaper ways to reduce administrative overheads. •	We assumed that costs in both the baseline and GSDM options would reduce by 2.5 percent a year. This reflects the impact on headcount of evolving technological improvements as well as recent budget trends concerning posts in administration. Reduced headcount would have the effect of slightly reducing the relative gains of moving to a lower wage location. •	We assumed minor cost overruns of 30 percent, given that the proposal might contain optimistic forecasting, that it might not be possible to mitigate all the risks outlined in the proposal, the likelihood of unforeseen cross-subsidies from other budgets, funds already spent, implementation delays and relatively fast-growing salaries in Budapest, Nairobi and Shenzhen. For context, estimates for Umoja’s overspend run from 120 percent and up. •	We employed a standard net present value calculation, which is standard for investment decision-making, and set a discount rate of 2 percent to reflect the risk-free cost of capital faced by the governments. *The model was developed jointly with colleagues experienced in management consulting and accounting and is available on request.